Ongoing engineering work on TV transmitter masts across the UK may result in some localised disruption to Freeview. Main transmitters in the Anglia, Central, London and Yorkshire TV regions are all liable to provide weaker signals as a result of spells of reduced power, which could lead to break-up and loss of services for some households. In South West England, transmitters serving Bridport and Exeter are subject to breaks in service, according to the BBC. Some services broadcast from the main Caradon Hill transmitter serving parts of East Cornwall and West Devon are also liable to be affected by weak signals. North Devon may experience weaker than normal signals from the local transmitter at Huntshaw Cross, according to information from Digital UK. Some of the scheduled work is subject to weather conditions. The region is due to undergo a number of frequency changes later this year as part of a programme to clear the 700MHz frequency band for future 5G services. 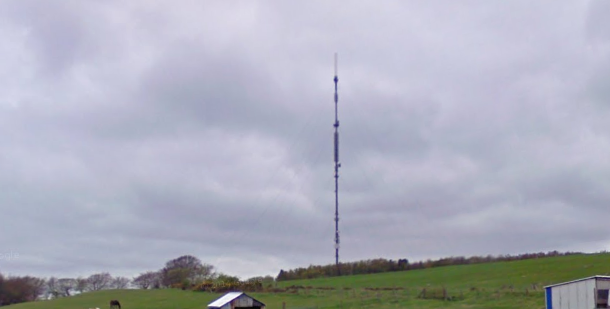 In Yorkshire, work continues at the Emley Moor transmitter tower site in preparation for a frequency change to take place in the next 12 months, which will result in Yorkshire viewers needing to retune at a yet to be confirmed date during the timeframe. A temporary mast has been installed next to the main tower in order to maintain TV services. In Wales, a number of transmitters in the north and east of the principality are liable to interruptions ahead of a frequency change taking place at the end of February. But a recent frequency change has resulted in residents of Borth losing access to Freeview services, due to a local relay being moved the same frequency as the local main transmitter, according to Cambrian News. In Scotland, main transmitters covering the Aberdeen, Angus and Borders areas are also subject to service interruptions or weak signals. Workington in Cumbria is also subject to reception issues while work takes place. Viewers are advised not to retune in this instance. ► The BBC offers a transmitter checker service, to allow viewers to check to see if their reception problems are due to local transmitter issues. ► Poor Freeview reception can also be caused by issues with a householder's aerial, cabling, receiver, local interference, new 4G mobile services as well as nearby trees and buildings obstructing the signal.